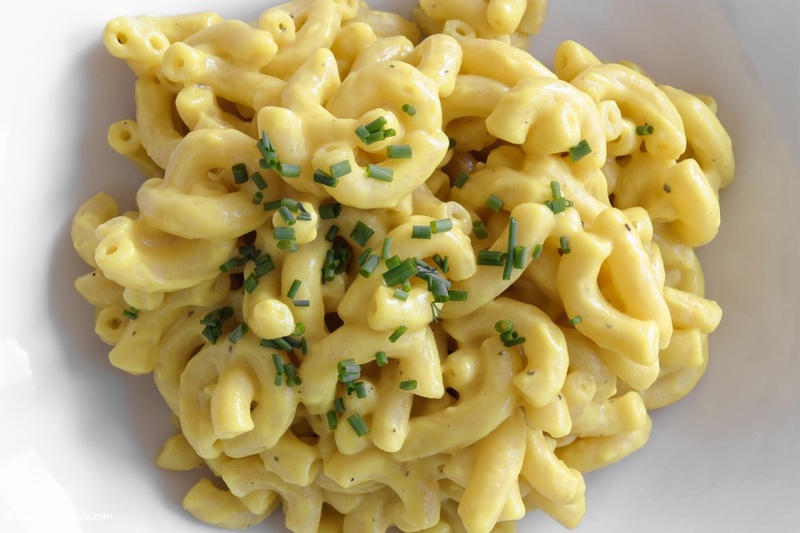 Macaroni and cheese is one of those dishes that many of us have stored in our memory bank. It is, quite frankly, and epic dish found throughout the English-speaking world…but, also in the German-speaking world as my Swiss wife informed me. When I think of this dish, I usually think in terms of my teenage years when I simply had to have something fast. Admittedly, I normally gave into time rather than technique and made a quick version of something heavily processed – yes, it came out of a box (yuck). This recipe is my plant-based ‘adult’ reaction to having one of those food memories recently while in the kitchen working on something else. You can serve this dish like a normal pasta dish, or do what I did in the recipe, and create a gratin! Yield: it depends on how much pasta you make, but with 200 ml. cauliflower sauce you should be able to make 4 servings! Place 200 ml. of cauliflower sauce in a large non-stick pan. Gently heat the sauce over low heat. Preheat the oven to 220° C, using only the top heat and adjust the oven so you can place the gratin dish close to the heat source (about 15-cm distance). Heat a large pot of water over high heat. Add about 1 heaping teaspoon of salt per liter of water (it should taste like the sea) once the water reaches a boil. Add the pasta and cook per the directions. Add the cooked pasta directly to the sauce and toss well (you can enjoy right away with some chives and black pepper or move to the next step to make a gratin). 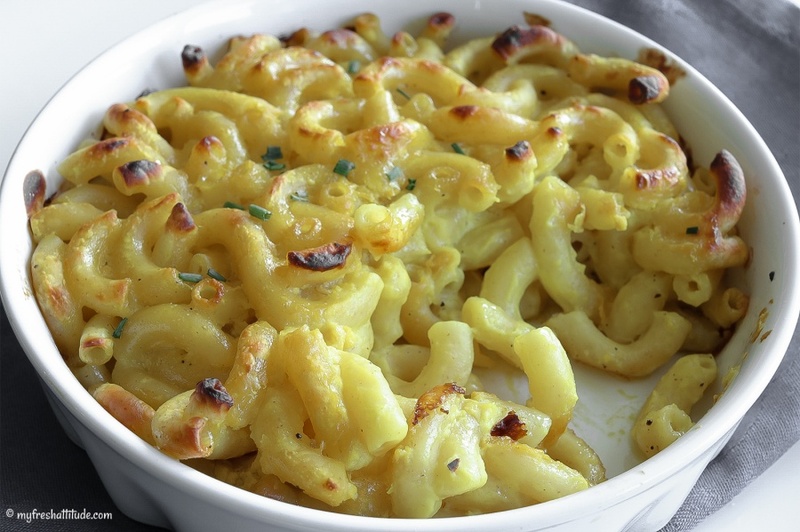 Add a spoon of cauliflower sauce to your gratin dish, then add the coated pasta from the step above to the dish. Use only enough pasta to fill the dish. Add another spoon of sauce to the top of the pasta. Place in the preheated oven and cook until golden on top – about 15 minutes. Cool slightly and enjoy (probably with a smile on your face). I like to make sure I have plenty of cauliflower sauce on hand. I use small and shallow gratin dishes and I make sure the pasta is well-coated with plenty of sauce. The gratin will dry out a bit as it cooks, so don’t be shy with the sauce…plus, you made a liter, right? You can use gluten-free pasta in this dish.